A concept is an abstract idea representing the type and fundamental characteristics of some set of objects in one's mind. Concepts arise as abstractions or generalisations from experience; from the result of a transformation of existing ideas; or from innate properties. A concept is instantiated (reified) by all of its actual or potential instances, whether these are things in the real world or other ideas. Concepts are studied as components of human cognition in the cognitive science disciplines of linguistics, psychology and philosophy, where an ongoing debate asks whether all cognition must occur through concepts. 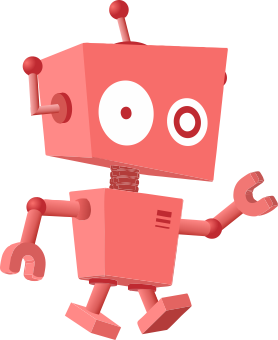 Concepts are used as formal tools or models in mathematics, computer science, databases and artificial intelligence where they are sometimes called classes, schema or categories. In informal use the word concept often just means any idea, but formally it involves the abstraction component. Concepts are sometimes known by other names in everyday language such as "kinds", "types" or "sorts", as in "an oak is a kind of tree", or "this object is a kind of tree". Concepts can be organized into a hierarchy, higher levels of which are termed "superordinate" and lower levels termed "subordinate". Additionally, there is the "basic" or "middle" level at which people will most readily categorize a concept. For example, a basic-level concept would be "chair", with its superordinate, "furniture", and its subordinate, "easy chair". The term "concept" is traced back to 1554–60 (Latin conceptum – "something conceived"), but what is today termed "the classical theory of concepts" is the theory of Aristotle on the definition of terms. The meaning of "concept" is explored in mainstream information science, cognitive science, metaphysics, and philosophy of mind. In computer and information science contexts, especially, the term 'concept' is often used in unclear or inconsistent ways. In a platonist theory of mind, concepts are construed as abstract objects. This debate concerns the ontological status of concepts – what they are really like. Study of concepts and conceptual structure falls into the disciplines of linguistics, philosophy, psychology, and cognitive science. In the simplest terms, a concept is a name or label that regards or treats an abstraction as if it had concrete or material existence, such as a person, a place, or a thing. It may represent a natural object that exists in the real world like a tree, an animal, a stone, etc. It may also name an artificial (man-made) object like a chair, computer, house, etc. Abstract ideas and knowledge domains such as freedom, equality, science, happiness, etc., are also symbolized by concepts. It is important to realize that a concept is merely a symbol, a representation of the abstraction. The word is not to be mistaken for the thing. For example, the word "moon" (a concept) is not the large, bright, shape-changing object up in the sky, but only represents that celestial object. Concepts are created (named) to describe, explain and capture reality as it is known and understood. Can two people ever come to learn exactly the same concept? 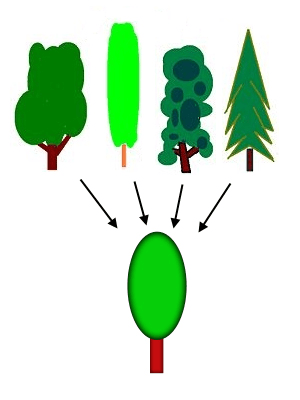 If person A has seen 100 trees and person B has seen a different 100 trees, they will not always generalize the same set of features in their concept of trees. The two concepts are sometimes written as TREE_A and TREE_B to emphasise their difference. If A and B have these different concepts, and intend them by their use of the English word, "tree", then how can they ever have a meaningful debate to decide the truth of a statement about "trees"? A statement that is true of TREE_A may be false of TREE_B, and the two parties will talk past one another. Concept theorists suggest that this is the root of many, especially political, disagreements in the world, and that more productive resolutions should be found by the participants exploring each other's different concepts and trying to locate the conceptual source of the disagreement. The situation becomes even more complex when reasoning about other people's beliefs. For example, is the statement "George Bush thinks conservatism is bad" true or false? Bush presumably possesses some concept in his own mind, CONSERVATISM_BUSH, but the reasoner (eg. ones self) does not have access to this exact concept. If the reasoner is a liberal, it is likely that their concept CONSERVATISM_REASONER will be defined differently to that of Bush. It is likely that it will contain many properties which are bad. The reasoner can conclude that "CONSERVATISM_REASONER is bad", and might even have reason to believe that if this version of the concept was explained to Bush, then Bush would also think is is bad. But the reasoner has no access to Bush's own concept and can therefore assign no deep truth value to statements about it. They might have heard Bush say "conservatism is good" and thus have evidence that "Bush thinks CONSERVATISM_BUSH is good", but this is only a weak statement about the Fregean sense of the concept and not its (deep) referent. Concept theorists again suggest that this type of confusion could help to resolve many real-world, especially political, disagreements. Concept Facts for Kids. Kiddle Encyclopedia.